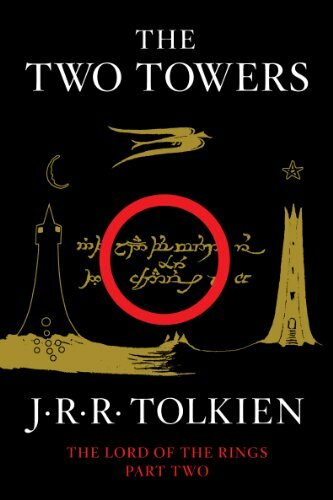 Much has been written in Tolkien scholarship about the influence World War I had on the composition of The Lord of the Rings. That influence is certainly discernable in The Two Towers, which I recently completed re-reading. It’s been a few days since I finished it, so I’ve probably forgotten some of what I thought while reading, but I’ll try to offer a few crumbs from the feast for your perusal. When I first read of the World War I connection, I had some trouble understanding it. The corpses in the Dead Marshes, people said, were reminiscent of the corpses in No Man’s Land, between the trenches. The journey was like trench warfare… somehow. I understood it a little better, I think, in this reading. Frodo’s and Sam’s journey is in some psychological ways like the experience of a long war. Sam is a perfect epitome of the “common” soldier whom so many men of Tolkien’s class learned to appreciate, as never before, in the shared experience of combat. C. S. Lewis writes affectingly of his experience with his own sergeant, technically his subordinate, who taught him enough war-craft to stay alive in the early stages, and finally gave his own life (inadvertently) for Lewis through standing between him and the exploding shell that would have killed him. Consider being a soldier in World War I. There had never been a war like it before. Throughout history, warriors and soldiers had generally enjoyed a pretty fair chance of surviving and going home, outside of suicide missions and massacres – and if they did get killed it was more likely to be due to disease or accident than to enemy action. World War I was the first really mechanized war (no doubt that contributed to Tolkien’s hatred of industrialization), where thousands upon thousands of healthy young men were ordered into something like a meat grinder. Soldiers of that war had to reconcile themselves to a high probability of death, just as Frodo and Sam trudged on simply because they’d promised to try, “without hope.” An experience like that makes a man a rough-and-ready existentialist, forced to live in the moment and do the best with it, thinking no further ahead. Another, un-associated thing that stuck me was the varying descriptions of Gollum. When Gollum is described from a distance, he always looks black to people. But up close he’s always described as very white. This confused me on my first reading, and still confused me. Was there a purpose in this? It occurred to me (and I may well be thinking through my hat) that the black Gollum may have been an earlier vision, and that Tolkien may have changed him to white at a later stage, but not consistently. Could it be that he was concerned about the appearance of racism? Tolkien spent his earliest years in South Africa, and Gollum’s obsequious manner of speech, contrasting with his treachery behind the hobbits’ backs, may have been based on the behavior of some (justifiably resentful) African servants. There’s also a story (I read it somewhere) that Tolkien was briefly kidnapped by Africans while he was a baby. Could that memory (subconscious, of course, as I believe he was too young to remember) have inspired Merry’s and Pippin’s transportation to Orthanc, carried by Orcs? I’ve wondered about the difference in the descriptions of Gollum, too. Personally, I doubt a racial element, though there’s nothing wrong with wondering. It just seems to be one of those puzzles, like the chronology in Sir Gawain and the Green Knight — I don’t have my notes on the matter at hand, but there seems to be a discrepancy at the end.